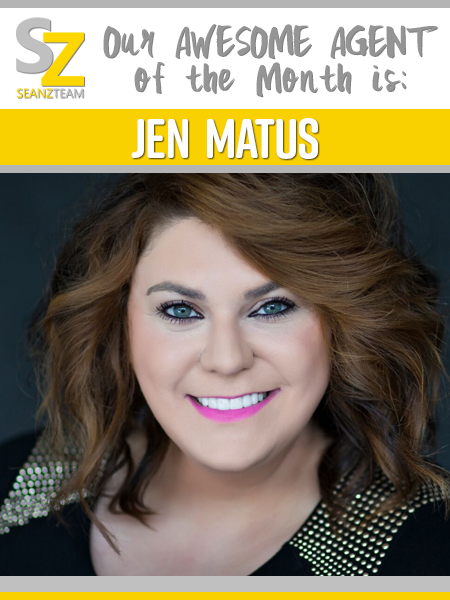 Young, driven and highly successful, Jennifer Matus has established a solid career for herself in the Saint Louis real estate industry. She started off in 2006, working in a front office role for a company that provided real estate, mortgage and title services. Soon, she made connections with the agents in the office, and began to prefer the fast-paced nature of real estate. She received her real estate license in 2010 while working for a high producing team as an assistant and then buyer’s agent. Shortly after that, she established her own team, called the Matus Group Real Estate Advisors. Today, they specialize in the greater Saint Louis area, helping clients with a wide range of services, including frst-time home buying, foreclosures, luxury, investment, multi-family, and more. Anyone that knows Jen knows that she’s really cool and outgoing, VERY knowledgeable and successful. She does a great job at marketing her team and properties and is an agent you’ll be instant friends with because she makes the home buying experience a joy! Agents! Want an easy way to refer our lending services? Check out our new app! There is so much you can do with the new Sean Z Mortgage App and we’ve made it super easy for agents to forward it to clients. Text “SZTEAM” to 36260 for a direct download link and explore all the functionality.